This is an embroidery machine from Golden Wheel, model CS530 (I think, the label was faded out). 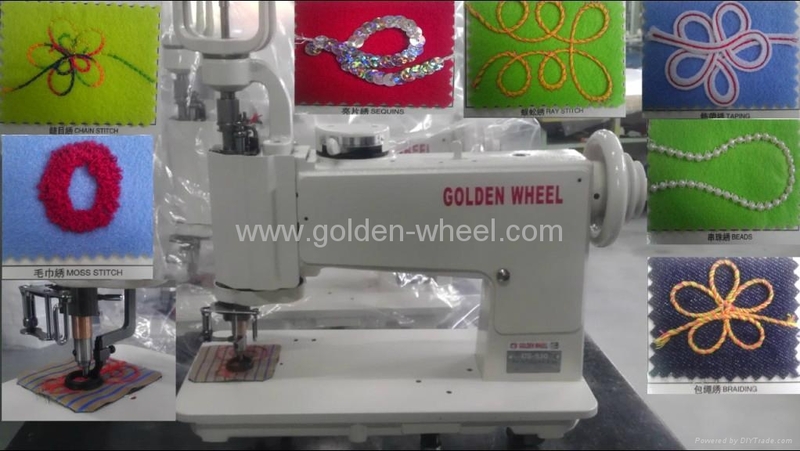 It can do chain stitch, taping, sequins and braiding. 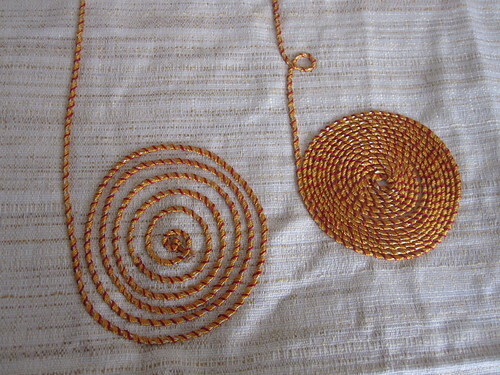 At this workshop, they were used to make the braiding stitch for decorating the traditional clothing called Kurta. 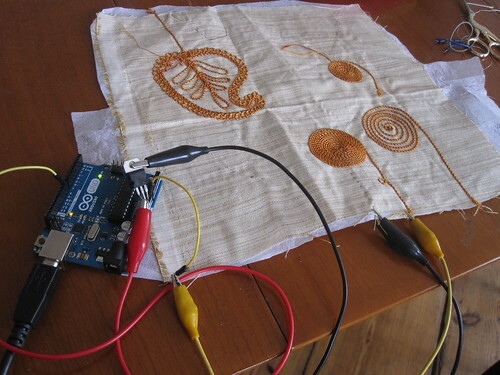 Braiding stitch with this machine works as following. It inserts thick core thread from A. This thread is not going through needle. 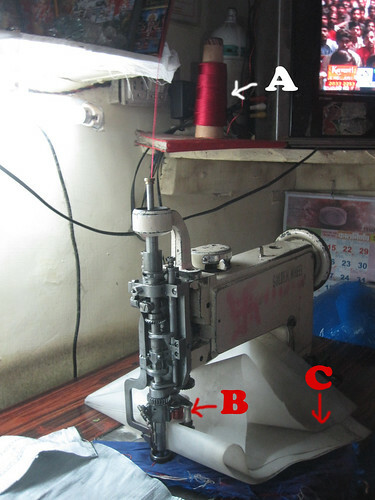 There are 4 thread bobbin set at B which turn around the A thread to make the wrapping. This thread also does not go through the needle. 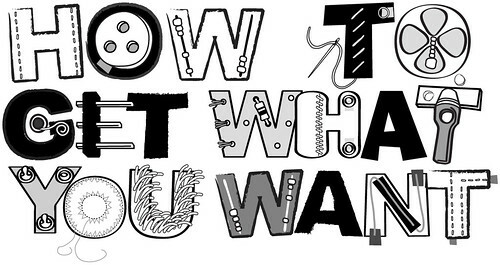 There are another thread underneath, a single normal sewing machine thread. 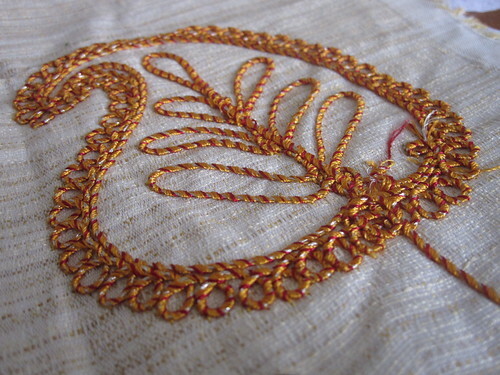 This thread goes through a needle and place the A and B thread in place on the fabric. The pattern shape comes from turning hand operated wheel under the table. Here is some videos showing the machine in action. 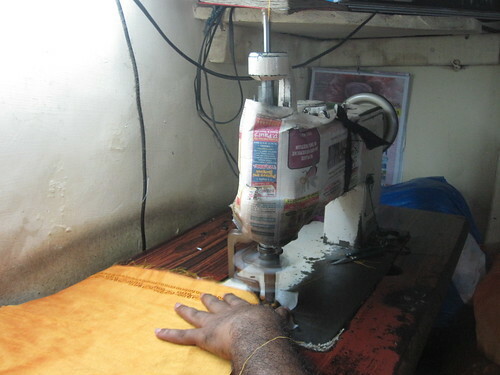 The embroiderers are trained to use this machine as if the pattern is programmed in the machine, but it is actually in their head and hand entirely.